The Kwara State Internal Revenue Service (KWIRS) has handed over the lines of revenue it was collecting on behalf of the 16 Local Government (LG) areas in the state back to their respective councils. KWIRS Chairman, Dr Muritala Awodun made this known while addressing a press conference after the Joint Revenue Committee (JRC) meeting on Thursday in Ilorin, the state capital. He said JRC was established by law to ensure that there is harmony in tax administration in the State to prevent double taxation, deal with other revenue matters and enlighten the people appropriately about revenue processes and collection. Awodun noted that due to the success of KWIRS in improving the State’s Internally Generated Revenue (IGR), the local councils entered into an agreement with the Service to collect revenues on their behalf and remit amount due to each council every month. The chairman added that, out of the 21 list of approved revenue lines at the local level, 17 lines have been returned to the councils, who will now be in charge of the revenue collection in their various LGs. He, however, said JRC agreed that KWIRS will continue to collect and remit revenue in the remaining 4 lines as they have been automated and are working perfectly. The four lines according to the KWIRS boss are citizenship fee, land charge and tenement rate, which he said, the state government is currently overhauling. Others are Advert and signage and telecommunication mast. Awodun also disclosed that the Committee agreed that any local council interested in engaging the service of KWIRS to collect other revenues on their behalf should approach the agency individually. He urged the council chairmen to continue to build on the revenue collection at the respective local government areas as demonstrated by KWIRS and improve on the process already in place. Speaking on behalf of his colleagues, the Chairman, Oyun LG, who also doubles as the State chairman of the Association of Local Governments of Nigeria (ALGON), Mr Joshua Olatunji Omokanye said the councils have agreed to take up the responsibility of their revenue collection. 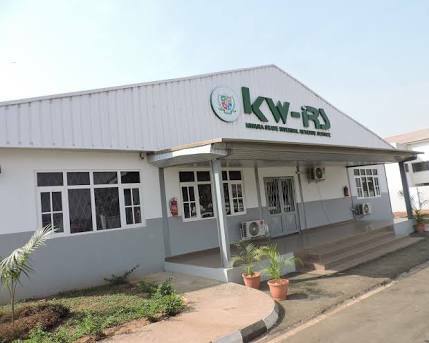 He noted that there is no disagreement whatsoever with KWIRS adding that the agency was initially engaged in the revenue collection process owing to its effectiveness, following the change in people, process and technology of tax collection by the State government. Omokanye said the councils are now grounded in the procedures of tax collection and will strive to improve on the process.